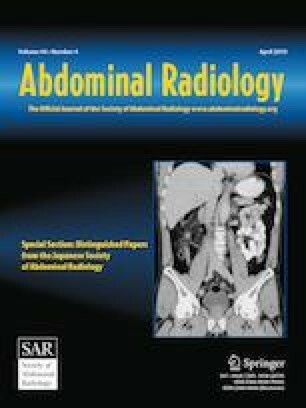 The aim of this study was to evaluate the usefulness of 18F-fluorodeoxyglucose (FDG) positron emission tomography (PET)/computed tomography (CT) for the diagnosis of a portal vein tumor thrombus (PVTT) in patients with hepatocellular carcinoma (HCC). One hundred fifty-four patients with histologically proven HCC underwent 18F-FDG PET/CT imaging. The maximum standardized uptake value (SUVmax) was calculated, and the change in SUVmax (retention index, RI) was defined as the ratio of the increase in SUVmax between early and delayed scans to the SUVmax in the early scan. The circular region of interest was placed on the transaxial images according to the corresponding CT images. The final diagnoses of a PVTT were confirmed by histopathology. Of the patients examined, 101 (65.6%) had no confirmed instances of a PVTT, whereas 53 (34.4%) had a confirmed PVTT. The sensitivity of 18F-FDG PET/CT imaging was 62.3%, the specificity was 97.0%, the accuracy was 85.1%, the positive predictive value was 91.7%, and the negative predictive value was 83.1%. The SUVmax of the PVTT was 4.32 ± 1.96 and the SUVmax of the HCC lesions for these patients was 5.38 ± 2.79, but these differences were insignificant (t = 1.78, p = 0.08). For dual-time-point imaging, the SUV1 of the PVTT lesions was 3.75 ± 1.48, and SUV2 was 3.63 ± 1.41, but these differences were insignificant (t = 0.82, p = 0.42). The SUV1 of the HCC lesions was 4.47 ± 2.03, and the SUV2 was 4.90 ± 2.07, which were both also insignificant (t = − 1.81, p = 0.09). The RI of the PVTT lesions was − 2.05 ± 19.96%, and the RI of the HCC lesions was 11.87 ± 26.20%, with no significant differences between them (t = 1.58, p = 0.13). 18F-FDG PET/CT may potentially improve the accurate diagnoses of a PVTT in patients with HCC.